First off, for a processor, I chose the quad-core Intel Core i7-4770K chip, clocked at 3.5GHz. This processor runs $315 on Amazon and is one of the most highly supported and praised processors for a Hackintosh. Plus later on, I can overclock it if I choose to. Next up, I went with 16GB of Corsair Vengeance DDR3 RAM. You can always go with more, as the 4770K processor supports up to 32GB of memory. In terms of storage, I decided to go with both a solid state drive and regular spinning hard drive. The SSD will be used for the operating system and apps, for a quick boot and quick performance, and the spinning drive for media storage. 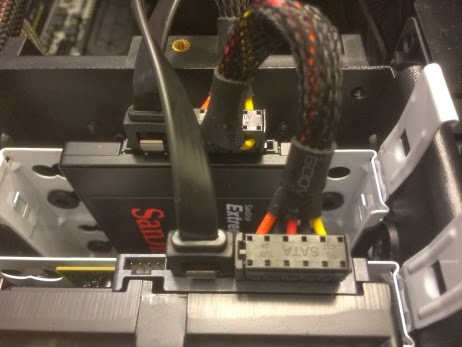 I chose the 120GB SanDisk Extreme SSD. In retrospect, I wish I had gone with a tad more storage, but I can always update it at a later point. For the spinning drive, I chose the 2TB Seagate Barracuda.